Brigantia Facial $125 Diamond Dermafile with Enzime Peel Treatment Book here! We offer customized Bridal Services so you will look fresh, radiant and beautiful on your special day. Skin Care Services are available from Monday to Sunday "By Appointment Only". This was the best facial I ever had. Anna is extremely professional and knowledgeable about skin care. She took her time analyzing my face and then she explained what needs to be done and why. During the treatment she continued explaining the process step-by-step, asking me all the time how I was feeling and doing. Her personal touch was very kind and attentive. The results were simply WONDERFUL! I have very dry skin and being a golfer does not help. After the treatment my skin looked smoother, softer and glowing. My husband noticed it as well and he even complimented it (wow!). Your Life Energy Holistic Center is so beautiful and peaceful. I will certainly be back on a regular basis. I highly recommend Anna and this lovely center. I look and feel great! Anna has the magic touch. Anna's professional care and treatment really made a difference. I am coming back. I cannot say enough about Anna and Your Life Energy. I get my facial and Reiki once a month feeling rejuvenated and re-energized in one of the most beautiful spas of old town. Daily stress, extreme weather and even a controlled environment such as the air conditioner, heat pump and artificial light will affect our skin. It loses elasticity and hydration. The Avalon Facial is a gentle and nurturing treatment, it revitalizes and rejuvenates your face and neck making you feel fresh and radiant again! Professional skin analysis and advice to address the essential needs of your skin treatment and home care. 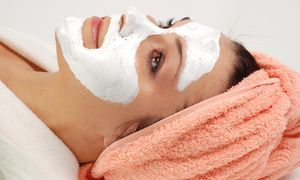 Deep steam cleansing (assuring deeper pore cleansing without damaging your skin tissue) and extractions (if necessary). Exfoliate, mask, hydrate cream, lift eye gel and serum. Herbal facial aromatherapy and massage for your face, neck, shoulders, hand and arms. High frequency treatment (non-invasive approach to skin rejuvenation). This treatment helps with acne, shrink enlarged pores, reduce the appearance of fine lines and wrinkles, decongest puffy eyes and fades dark eye circles). 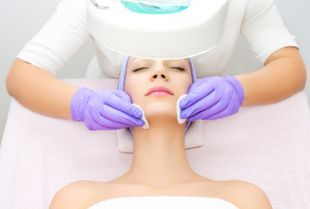 This treatment involves the use of an ultrasound spatula and Galvanic device. These tools help to increase deeper absorption of the ingredients into the layers of the skin improving cleansing and hydration. This process rejuvenates the skin, smooths out wrinkles, tightens the muscles and helps increasing blood circulation, which nourishes the skin cells. Recommended for most skin types, including sensitive skin. Ultrasound Spatula and Galvanic treatment (stimulates your skin for deep absorption of nutrients and rejuvenation). Diamond Dermafile is the holistic approach for a natural and non-invasive exfoliation of your skin. It removes effectively and safely the outer layer of dead cells, revealing a smoother, glowing and rejuvenated complexion. The procedure does not require deep suction of the dead cells as does the Microdermabrasion method. Instead, the Diamond Dermafile wand offers the same resurfacing benefits with a gentle touch applied manually, allowing the technician better control of the process, making it especially well-suited for sensitive skin. No-down-time, no side effects, no discomfort! The treatment can be applied to aging and sun damaged skin, scars, pigmentation and enlarged clogged pores. Enhances the natural production of collagen in your skin, smooths fine lines, rough, bumpy scars and dry patches of skin, removes sun damage and pigmentation and diminishes ingrown hairs. Diamond Dermafile treatment and Enzime Peel for face (exfoliation of the skin). This treatment helps to eliminate bacteria and dead skin cells; providing intensive nourishment, hydration and deep detoxification of your face. The infusion of oxygen encourages the production of collagen which helps plump up facial features and restore volume and firmness to skin that has lost elasticity. Minimizes facial scars, acne and blemishes . It brightens and brings glow to your natural colors. Your skin texture will look and feel smoother and healthier. Oxygen facials are ideal for people with sensitive skin and for those who would rather avoid injections or chemical treatments. After an oxygen facial, you can resume normal activities immediately, even applying makeup and using your normal facial products. Marine enzyme peel (gentle treatment) based on your skin type. Application of oxygen mask and then spray oxygen activator with intense massage infusion in the skin. 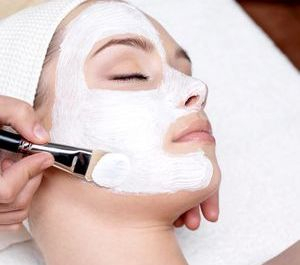 The Caledonia Facial with "Macrodermabrasion Treatment" is the most effective exfoliate treatment for your skin. It is wonderful for getting rid of those old and dead skin cells, minimizing fine lines and helping your face texture to look smooth, fresh with its natural colors and radiant. Microdermabrasion treatment for face and neck (Deep exfoliation of the skin). Mask, hydrate cream, lift eye gel and serum. This luxurious anti-aging and lift facial includes the "Microcurrent Treatment"
(electric stimulation of facial muscles). Your skin texture will simply improve amazingly. Fine and deep lines diminish, pores get smaller, eyes and brows lift, cheeks sculpt, the jawline tightens, and skin looks bright and dewy. 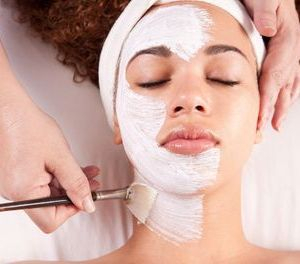 The ingredients for the facial are plant-derived stem cells, peptides and a high concentration of enzymatic botanicals. These will be absorbed into the skin leaving it luminous, refreshed and rejuvenated. This treatment is good for all skin types including the most sensitive skin types. Deep cleansing (assuring deeper pore cleansing without damaging your skin tissue). 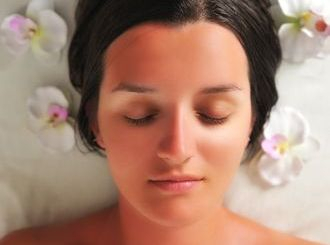 Herbal facial aromatherapy and massage for your face, neck, shoulders and arms. The Glow Facial is excellent for young skin texture, addressing acne, clearing impurities and it nourish skin texture to bringing back full hydration. Your skin will look radiant and fresh, ready for the great day! Group of five or more will receive 15% discount. Call at (571) 319-0093 to make arrangements. Note: Booking a group requires a 50% deposit. Waxing and Body Treatments can be added to the package for additional cost. The 15% discount will be also applied to these additional services.